Philodendron Congo, king of color among philodendrons. Look inside the Thoughthole to see if Congo might be the plant that you have been looking for to add that special something to your interior space. Philodendron Selloum with it's wide showy leaves can bring a bit of the tropical rainforest into your interior space. Look inside the Thoughthole to find out how to best incorporate Philo Hope into your indoor lifestyle. 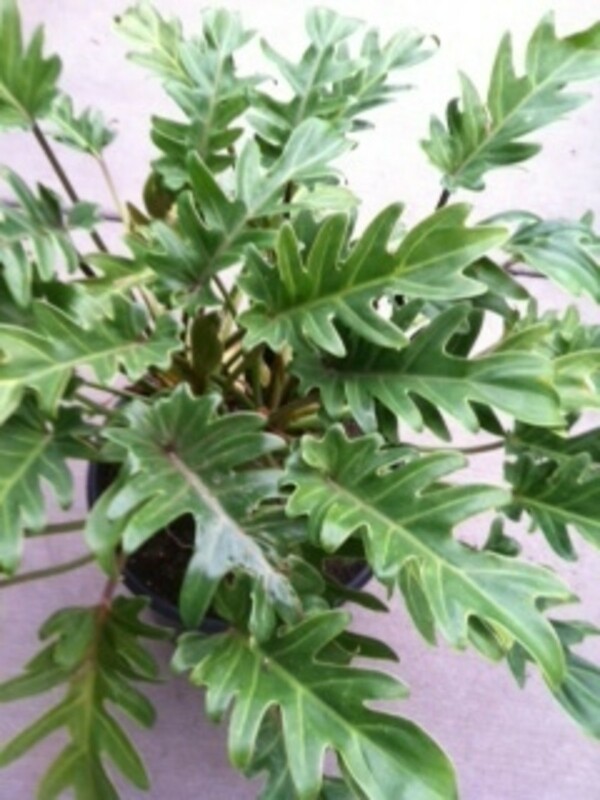 Philodendron cordatum a very popular vining houseplant with heart shaped leaves. Look inside the Thoughthole to understand what makes this trailing beaty unique to similar plants and unique in it's very own Philodendron plant family. Floor Plants Don't Have to Have Giant Leaves. 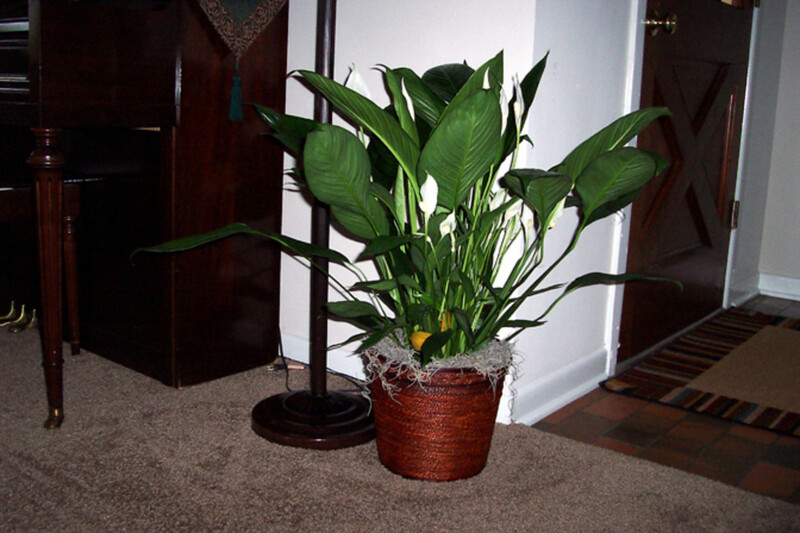 Xanadu is among the popular interior Philodendron plants. It is most commonly used as a bushy floor plant remaining at about a maximum of 3 feet in height. As a floor plant it differs from the some of the wider leaf varieties in the same family, in that it's leaves are much smaller and more compact, and it has more dense foliage that hides the soil surface. With it's smaller leaves it is also used as a small upright table top plant, or as an arrangement accent. It's small leaves do not detract from the tropical ambiance that can be provided by philodendron, the shape of it's leaves are similar to the popular but much larger Hope or Selloum. 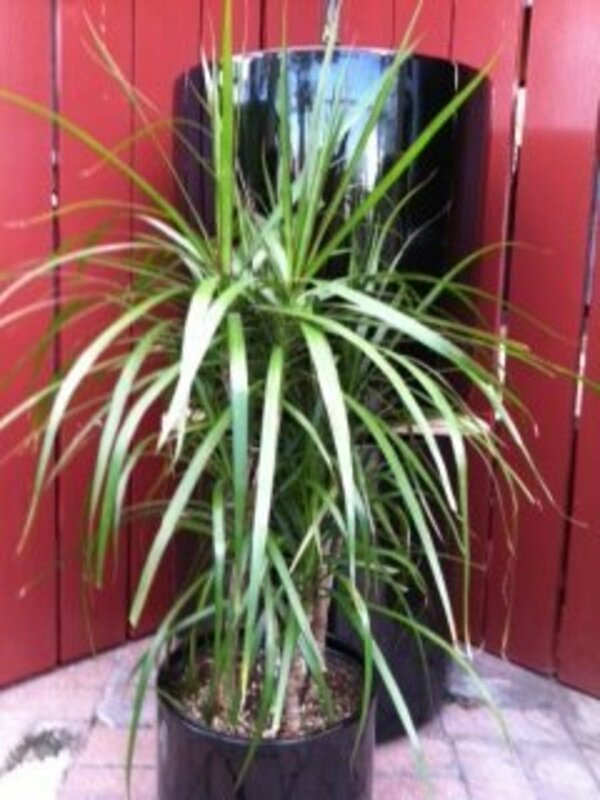 A very versatile plant by design it can be a great houseplant for a number of different uses. Xanadu like other Philodendron are not difficult to care for provided you know where to put it and how to water it. If you have noticed new growth on your house plant growing in as a faded washed out green, and have wondered what may be causing this the answer may be chlorosis. Look inside the Thoughthole for more on the subject. Have you found unsightly crunchy brown tips on leaves of your beloved houseplants and have no idea wht the cause may be. Look inside the Thoughthole to find the answer. Similar to most interior Philodendron, Xanadu like moderate conditions. When selecting a space try to find a spot where it will receive diffused natural light, or a northern exposure. Indoor Artificial light can also work but regular access to the light will need to be available for best results. In low light the plant may begin to loose a significant amount of foliage. Stem rot is typical if too little light is available. It is also very easy to over water in low light which will further damage and possibly kill mast houseplants. Low light is the most undesirable light condition to select for placement. High light can be dealt with but can serve to discolor and burn the foliage. More light means increased production for any houseplant, increased attention will need to be paid to feeding in high light. 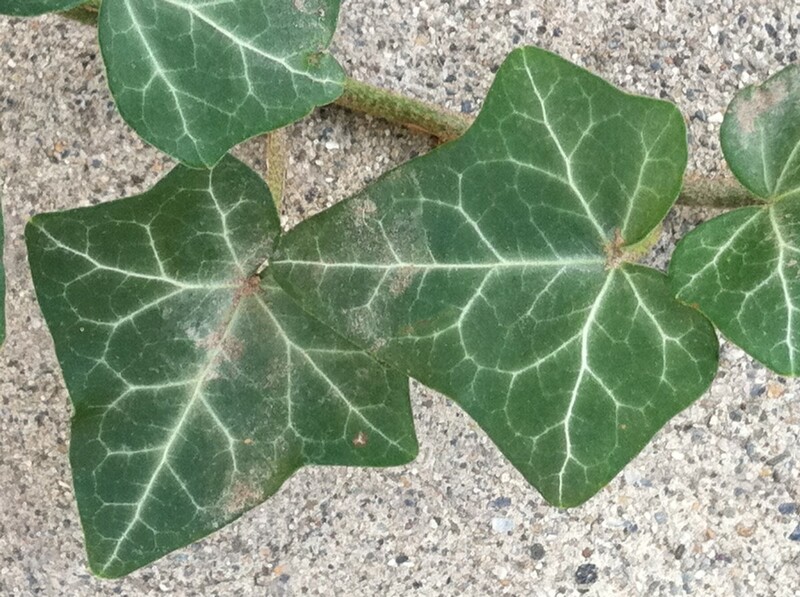 Be on the look out for Chlorosis symptoms in a high light setting. 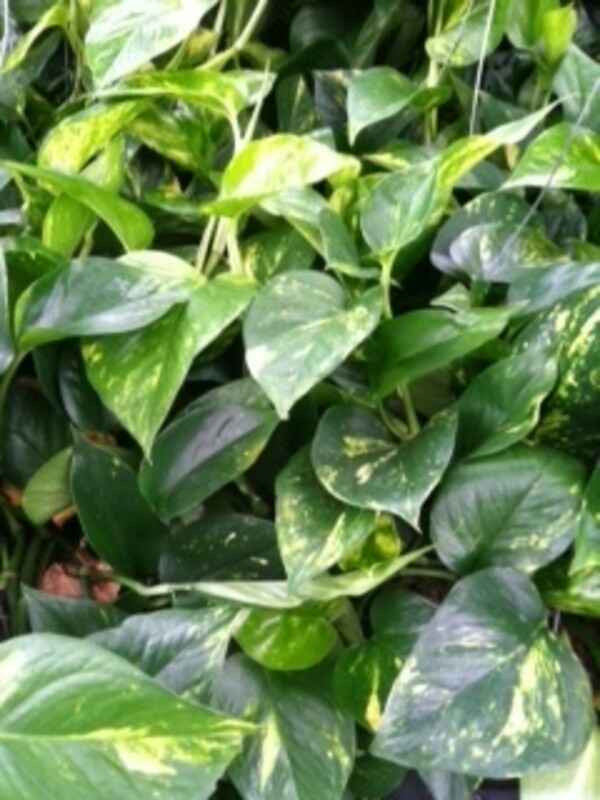 See the links to the right for more information on Chlorosis and over watering. Temperature and airflow should be considered when selecting a living space. Cooler temperatures will decrease your plants productivity and can kill tropical plants (most houseplants are tropical) be mindful to select a space with comfortable temperatures. Anything lower than 55 degrees, and above 90 degrees can begin to cause issues. Comfortable indoor living conditions are best. Increased temperature and airflow will cause transpiration to increase and water will need to be applied in greater quantities and or more frequently. When watering Xanadu check the soil surface, if it is found to be dry to the touch then water it until the soil is moist throughout. If it has been placed in a moderate comfortable environment it should not be necessary to leave excess water in the liner, more extreme heat or airflow may however make this necessary. After watering allow for a drying period, to the point of the soil surface again being dry to the touch before reapplying water. This flux between moist and dry in regular intervals must be provided for maximum health. Fungus Gnats; Find the Point of Origin of These Annoying Little Tiny Flying Bugs. If you have been plagued by tiny obnoxious flying bugs in your home or office, this is the article you have been looking for. Read this before you throw out all your plants, and produce. Plant poisoning - Philodendron (Philodendron sp.) information including symptoms, diagnosis, misdiagnosis, treatment, causes, patient stories, videos, forums, prevention, and prognosis. Due to acclimation (getting used to a new environment) and growth overtime yellow leaves may be produced. Regular maintenance calls for these yellow dead or dying leaves to be removed, they should be snapped off where the leaf stem touches the primary stem or the soil surface. It is also a good idea to periodically look between the dense foliage and remove the dried leaf husks left behind when a new leaf is produced. Regularly clearing away this dead organic material prevents mold, fungus, and worst of all Fungus Gnats. Being a Philodendron Xanadu is poisonous so care should be taken in the case of small children or pets being exposed to this plant. It should never be ingested, and if leaves are cut away be sure to wash your hands thoroughly so as not to cross contaminate food utensils and the like. More information on symptoms and diagnoses of Philodendron poisoning can be found to the right. 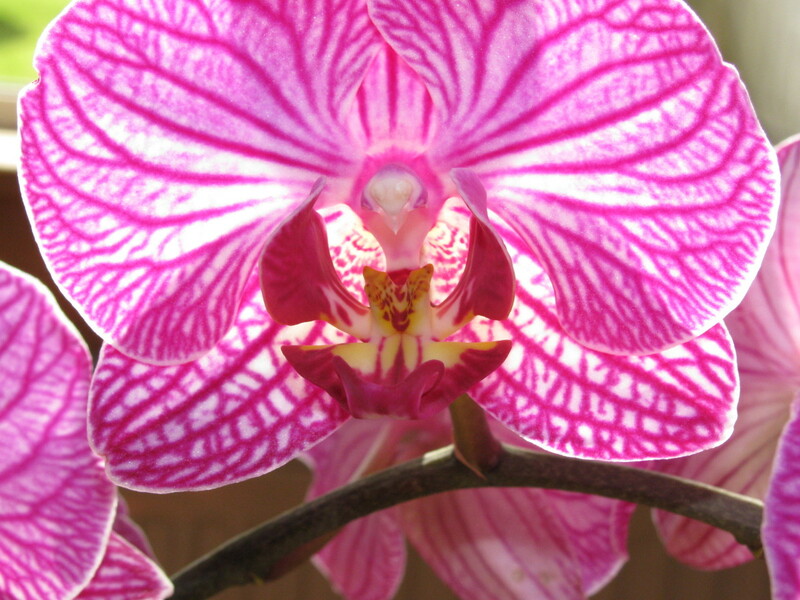 Xanadu can be a very easy care interior plant, success lies in a little bit of know how. This bushy beauty can be used in many capacities so go ahead and explore interior design with this new found knowledge of this intriuging green beauty. Aquaphoric Self Watering Planter (7”) + Fiber Soil = Foolproof Indoor Garden. Decorative Planter Pot for House Plants, Flowers, Herbs, Violets, Succulents. Easy Looks Great. Mbhfarm it sounds like you must live in a climate very different from my own. A Xanadu outside in any season here would be it's last. From what you describe I would think that winter may be an ideal time to repot, it is almost as if Winter is your Xanadu's time spent in a nursery, as long as it gets a decent amount of light inside I think your set. It may be wise to consult a nursery in your area to be sure, otherwise my logic says go for it. My philo zanadu is about 4 ft across. It is inside now in bright light, but not sun. I spray the leaves often. It really needs to be repotted, because there are probably 15 nice plants in the one pot. Should I wait until early spring? It stays outside most of the year until it gets too cool. It's the easiest plant! Sara, If you have just gotten the plant it will be going through an adjustment period. My reccomendations would be to allow the soil to become dry to touch down to about the 1st 2" of soil, then water the plant until it begins to drain through, leave the plant and check again 1 week later if dry to the touch water again if not skip it. Checking once a week is a good rule of thumb to stick by but you may or may not need to water that frequently depending on the plant and the environment. Hi .. I'd like to know a time frame for watering my Philo Xanadu . Once a week ? One cup ? Or biweekly ? I just got it & am unsure . Thanx. Share away! I would love for everyone to be able to access this content who may find it helpful.